This blog seems to be getting baby obsessed. The Gorings, The Miottis, the Luddingtonns. Oh well, when they look this cute, why not? Added to that, I have the Youngs, Carlins and Woods getting married on me and I hear a few other friends are looking at it too. 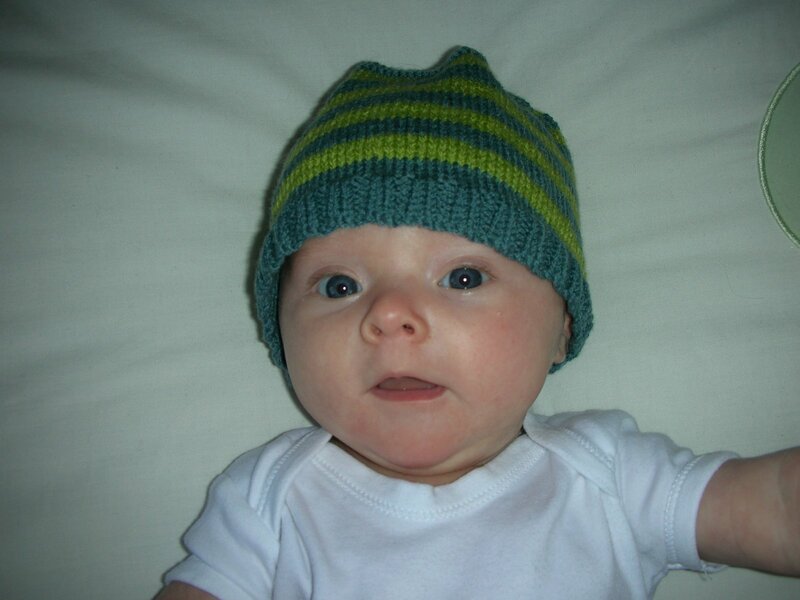 Anyway here is little Aalia, aged 3 months now, wearing her hat. As a man of hat’s, I give my thumbs up.